This Friday only, we have #UberPUPPIES on demand in Cincinnati! We’ve partnered with the League for Animal Welfare to bring you a little Pre-Valentine’s Day love while raising awareness for shelter animals across our city. Open your Uber app tomorrow, February 5th between 11am and 3pm. 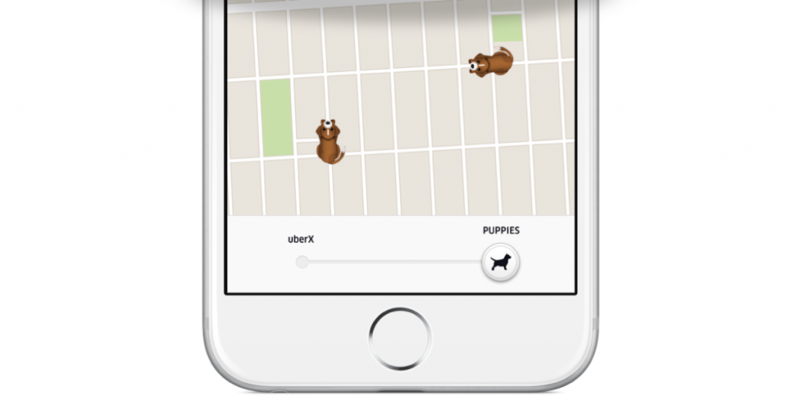 If it’s a match, you’ll have 15 minutes to snuggle with the puppies. Make sure to have an enclosed space perfect for playtime! PRO-TIP: Check with your boss to ensure the building is pro-puppy and that no one in the area is allergic. Also, having a dedicated room for puppy playtime is preferred. Found your one true puppy love? All puppies are eligible for adoption – just ask the rep assisting with your puppy delivery! It’s just $30 for 15 minutes of snuggle time. In turn, we’ll help support the League for Animal Welfare. These cute little canines will be in very high demand and availability will be limited within the Downtown area, so please be patient. If your aren’t able to get a puppy visit, you can still meet them at the League for Animal Welfare OR at the My Furry Valentine event next weekend!